‘Obnubilate’: “darken or cover with or as if with a cloud; obscure” – according to the Oxford Dictionary, and just in case you were curious. 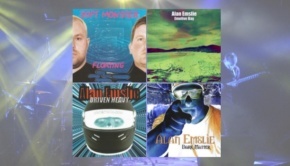 In 2017, composer, drummer, percussionist and multi-instrumentalist Alan Emslie rekindled his earlier works with re-mastered versions of the first four albums, and at the same time hinted of a return to his solo albums. True to his word he reappeared with Obnubilate just prior to Christmas last year. 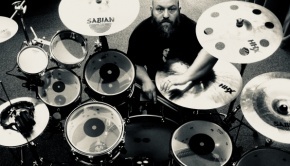 So with a review of the new album on the cards I contacted Alan to see if he might give us an insight as to the man behind the music, and also talk us through a few of the tracks. You can find out what Alan had to say in the TPA interview HERE. 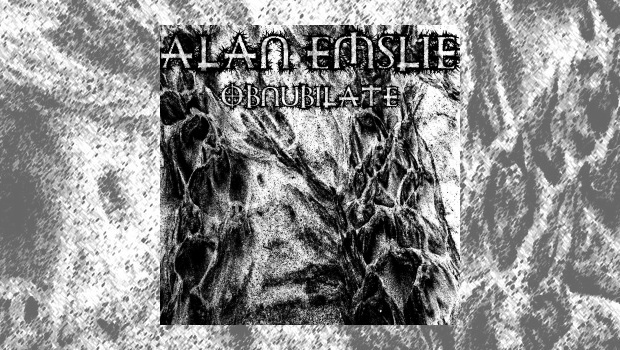 Obnubilate, as is much of the Alan Emslie catalogue, is primarily instrumental and as always a key feature is a keen sense of rhythmical structures. Patterns is no exception and is built up from multiple overlapping layers performed on an Indonesian metallophone and bolstered by deep bass growls. Like much of the music on this album, the more you immerse yourself into it, the more absorbing it becomes. So with a different rhythmic slant we move into track five. Now there’s a seamless flow to the album, irrespective of the subject matter, therefore the atmosphere doesn’t lighten up as we move into the Moon trilogy. In fact we pretty much stay on the dark side – oops another Floydian slip :0)… The album does however take on a lighter mood as the Flemish beers start to flow and the partying begins – bring out the Duchesse de Bourgogne. A departure in many respects for Alan, but one that compliments the album as we move into the electronic music enclave of The Prodigy. There’s a brief lull with the delightful and lilting Farewell, before the onslaught that is The Projectionist, a track that demands full submission. Then, and by way of a release, we head into the twenty five minute album closer, and as the track title implies, takes us on a dark and obscure journey. I mooted the idea with Alan of a massive, tension breaking, drum fill during this epic closing track, which sort of fitted my vision of the piece. Perhaps not so fitting his, exploding gravestones flying out of the ground is perhaps a little too macabre. Great to see Alan Emslie back, and with the added bonus news of a celebratory AE album later this year? You can find out more about this, along with some insights into the album and the man behind the music in the interview we did recently.